Rechtsberatung der Refugee Law Clinic , Theater- Musikworkshops, Konzerte, gemeinsames Kochen, Filmvorführungen – Ein Ort der Inklusion. 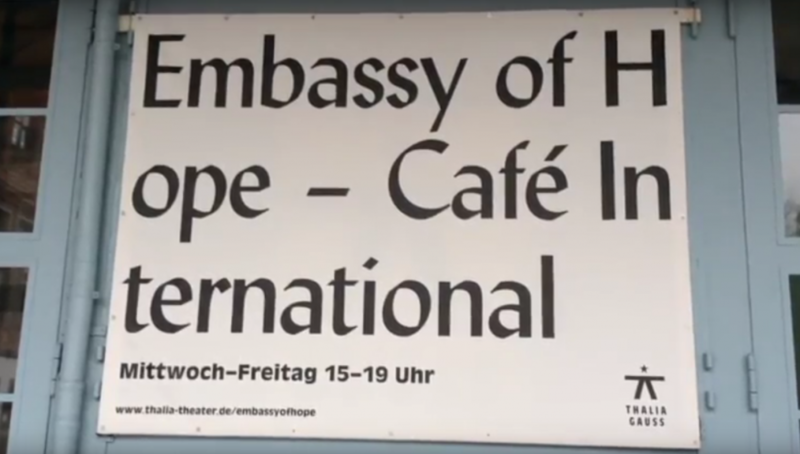 Embassy of hope- Cafe international in the Thalia theatre in the Gaustraße. Tee and coffee for all, free wifi, computer stations, talking groups to learn German, legal advice, theater workshops, cooking or film presentations- a place of integration.